This will be a weekly newsletter filled with meal ideas, recipes, wedding updates, links, reader photos and an update on what we've been up to. You can sign up to the newsletter here and the first edition will be posted next Friday! After nearly a month of being Chobani-less (as my local stores were sold out!) I finally have some - so you have to know I got straight to creating some new recipes! With Easter and Jesse moving to Australia, we've had quite a few people over and have had a couple of dinner parties and barbeques - so dips were in high demand! 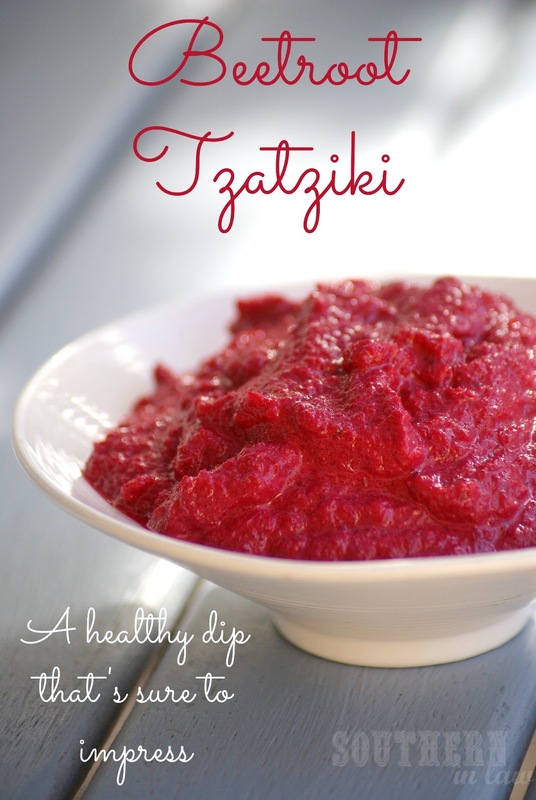 This Beetroot Tzatziki or Beetroot Yogurt Dip is super simple, healthy and oh so delicious! It's perfect eaten with crackers, veggies sticks or bread and if you're a fan of beetroot, you'll love it! Best of all - it's so easy! Roasted: Preheat your oven to 180°C/350°F. Wrap beetroots in foil and bake until tender. Allow to cool and peel. Boiled: Place beetroots into a pot of water, boiling until tender. Run cooked beetroots under cold water until cool, peel. Microwave: Place your beetroot in a microwave safe container, microwaving for 1 minute intervals until beets are tender. Allow to cool and peel. 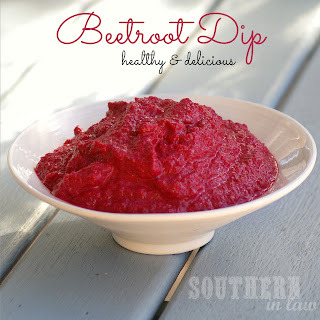 Once tender, allow beets to cool slightly before pureeing in a food processor with yogurt and garlic salt. Chill the dip or serve warm. So tell me, what's your favourite kind of dip? 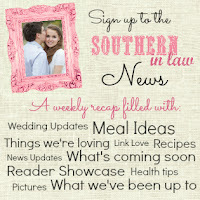 You can alsovote and nominate Southern In-Law for some upcoming blog awards! So glad you posted this recipe! I had beetroot tzatziki with a bread appy at a restaurant on the weekend and have been thinking about it ever since! Perfect timing! It is SO good with bread!